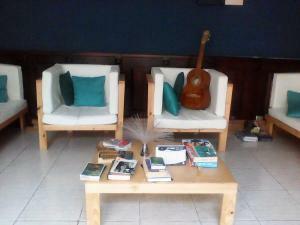 ﻿ Best Price on Mi Casa Hotel in San Jose + Reviews! 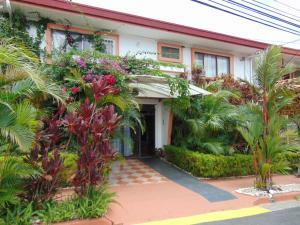 Mi Casa Hotel is located in San José, an 8-minute walk from Estadio Nacional de Costa Rica, and features a garden. Popular points of interest nearby include La Sabana Metropolitan Park and Costa Rican Art Museum. Staff on site can arrange airport transportation. At the hostel, every room comes with a closet. 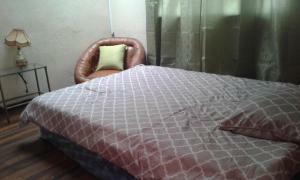 Rooms are complete with a private bathroom, while some accommodations at Mi Casa Hotel also feature a terrace. An American breakfast is available daily at the accommodation. At Mi Casa Hotel you'll find a restaurant serving Mediterranean cuisine. Guests at the hostel will be able to enjoy activities in and around San José, like hiking. Mi Casa Hotel can conveniently provide information at the reception to help guests to get around the area. National Theatre of Costa Rica is 2.1 miles from the accommodation, while Parque Diversiones is 3.2 miles from the property. Tobías Bolaños International Airport is 3.2 miles away.